Shout Out! Art Silk Ties Home | About Us | Opportunities | Sponsorships | Contact Us! Alright gentlemen (and ladies! 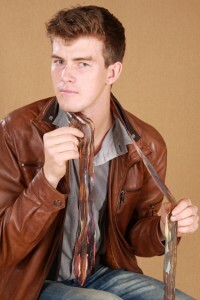 ), the time is upon us where occasions to dress up and embrace the dapper within are on the rise. Holidays, company parties, weddings, and graduations are all great chances to show off just how well you clean up, and having a one of a kind handmade tie on hand will definitely help you perfect your look. In this week’s Shout Out, we’d like to introduce you to an amazing artisan and her shop on Etsy. 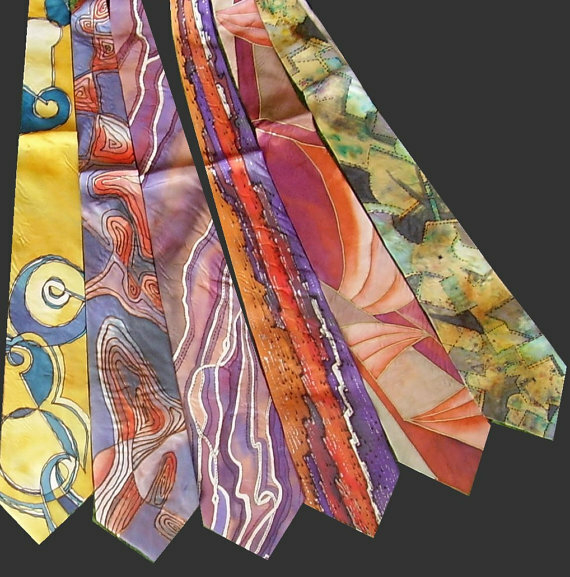 Maria from Art Silk Ties creates painstakingly hand-painted silk ties for men in a variety of styles, colors, and designs that will compliment any guys style and turn some heads at the same time! We found her shop just a couple of weeks ago and have been keeping our collective eyes on her evolving inventory and styles as they come out… and we’re never less than amazed! Maria creates all of the pieces for Art Silk Ties form her home in Estonia which is a gorgeous country located right between Latvia and Finland on the Baltic Sea. Her work is grounded, earthy, and natural looking without losing the artistic edge that makes it all stand out and look amazing! 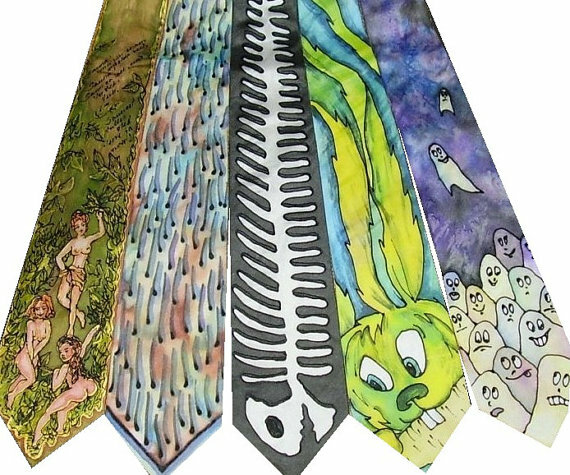 Head over to the official Art Silk Tie shop on Etsy right now and see what’s in stock! 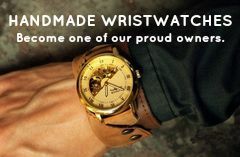 The craftsmanship, affordable prices, and amazing designs are going to put a smile on your face – and if you’re looking for a gift for the man who has it all, you’ll find it here! Tagged Art Silk Ties, Handmade Ties, shout out, Ties. Bookmark the permalink. 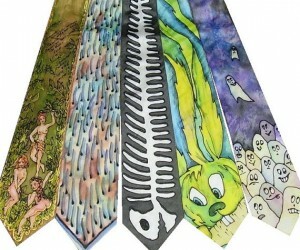 Interested in unusual art ties.